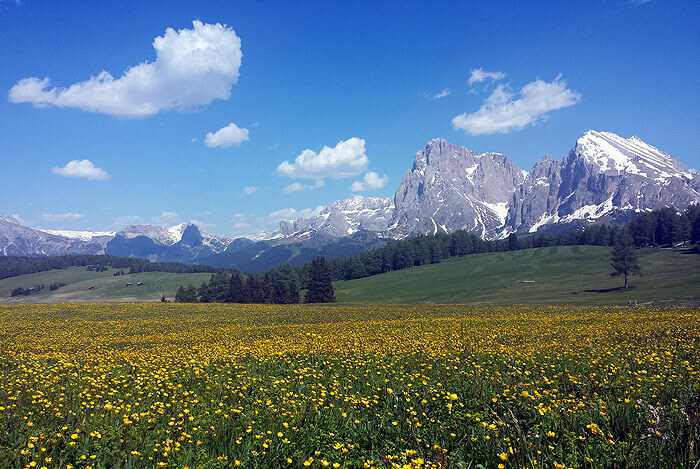 Picnicking at the foot of the Catinaccio/Rosengarten. 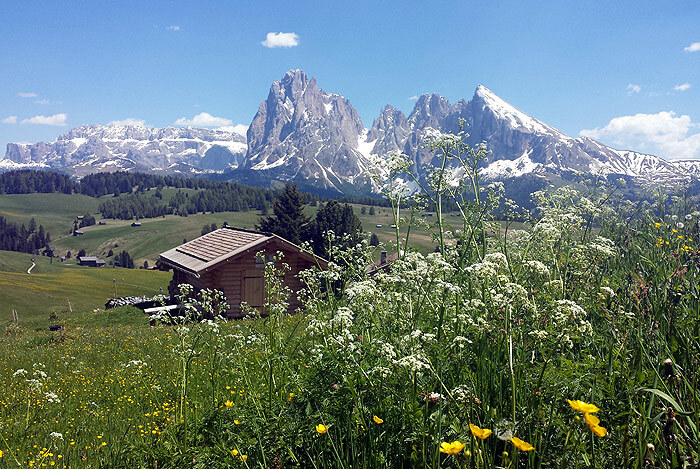 At the Bergler Harass picnic in Tires al Catinaccio/Tiers am Rosengarten, nature lovers can savour a range of hearty farmers’ fare with a view over the legendary Dolomites. 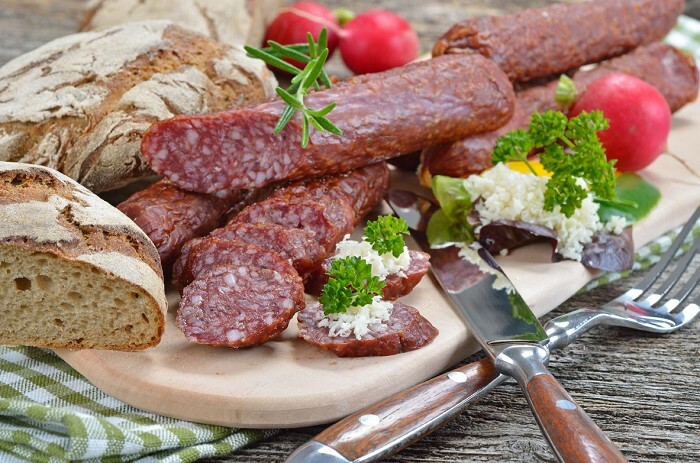 A wooden crate will serve as a picnic basket, jam-packed with traditional products from Tires, including sheep’s cheese, venison salami, Tires bread, butter, milk, raspberry juice and doughnuts. Musical entertainment will round off this sociable afternoon to perfection. 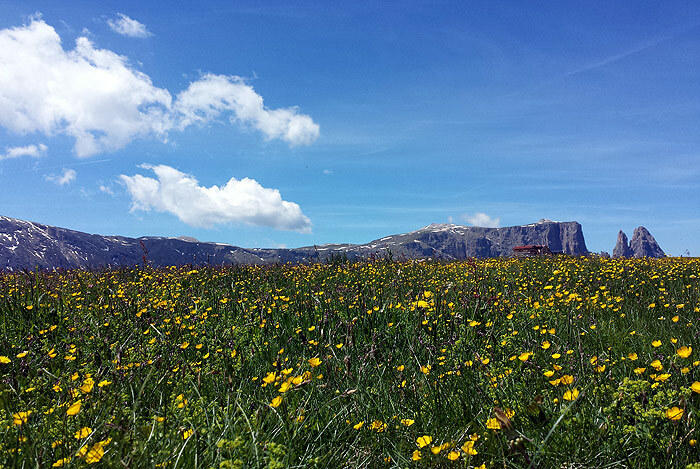 The picnic will be taking place on June 2nd 2018 at the Wuhnleger, an Alpine meadow with a small lake whose waters reflect the Catinaccio. 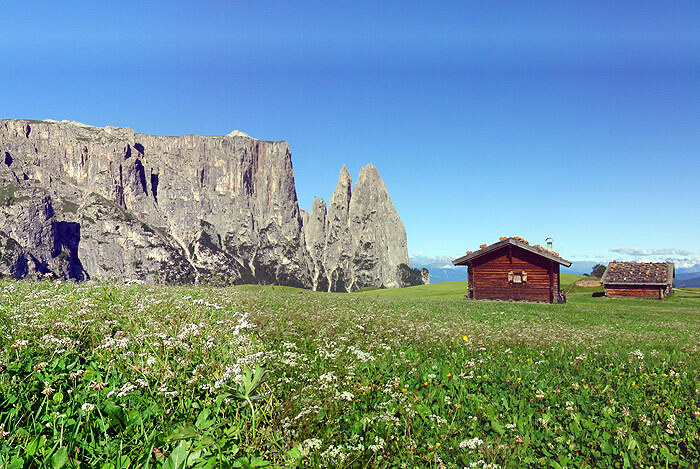 The Bergler Harass has been certified as a “going Green Event” by the Land Agency for the Autonomous Province of Bolzano. Green Events are those which are organised and conducted around the themes of economic, environmental and social sustainability.